I’ve commented before in this blog on (a) the welcome trend under Steven Moffat’s aegis to bring new writers into the Doctor Who fold, and (b) how the current series has included probably more genuinely ‘different’ stories than any since the Return of the Time Lord in 2005. 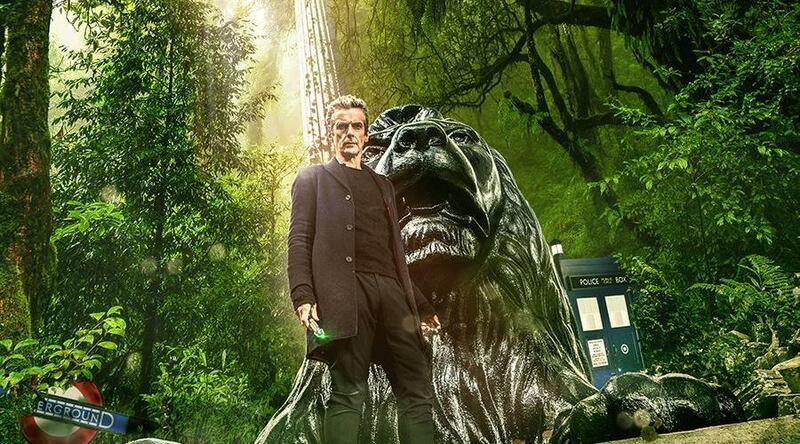 ‘In the Forest of the Night’ again demonstrated just how infinitely flexible the formula of Doctor Who can be in incorporating new concepts and motifs. Here we have London – and through a short montage sequence of television news reports in the manner pioneered by Russell T. Davies to suggest that alien invasions of Earth were no longer centred solely on the British capital – the rest of the world covered with a giant carpet of forest that has grown, literally, overnight. Moreover, the forest seems to be impervious to fire and harbours a whole menagerie of wild animals that have escaped from London Zoo. Developing the notion that, as the Doctor puts it, “the forest is mankind’s nightmare”, the episode drew freely upon the imagery of Little Red Riding Hood and The Company of Wolves (albeit, bearing in mind its intended family audience, devoid of the sexual awakening theme implicit in the former and quite explicit in the latter). Hence a child separated from Danny Pink’s party of Coal Hill School’s ‘Gifted and Talented’ group (i.e. the problematic kids) – somewhat improbably having a sleep-over in the National Gallery – finds herself stalked through the forest by wolves, while the Doctor has a close encounter with an impressively-realised CGI tiger. 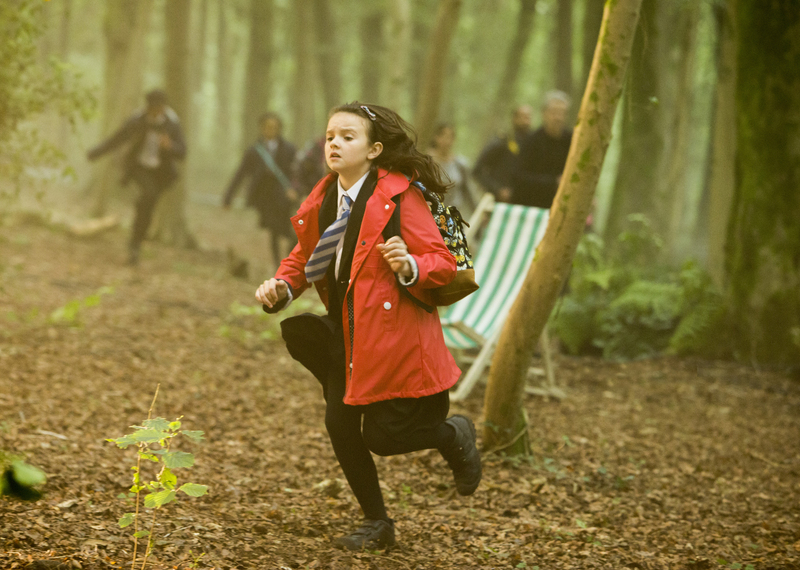 Like other Moffat-era episodes, such as ‘Night Terrors’, ‘The Doctor, the Widow and the Wardrobe’ and this season’s ‘Listen’, ‘In the Forest of the Night’ explored the association between childhood and primal fears. The suggestion that the human race has suppressed collective memories of inexplicable happenings and instead turned them into fairytales and fables is a concept familiar from other telefantasy, notably Nigel Kneale’s Quatermass and the Pit, and was itself explored in the Jon Pertwee serial ‘The Daemons’. The twist here – and this season has included some delightful expectation-challenging story twists – is that the forest is not an alien invader but a species that has lived, unknown to humankind, on Earth since long before humans became the dominant species. And, moreover, the forest is not in itself hostile – the escaped beasties are merely a side-effect – but has arisen to protect the planet from a solar flare that would otherwise incinerate it. Hence the plot device of the fire-retardent trees and some mumbo-jumbo about sucking up oxygen that I don’t recall from O Level Physics. So this was Doctor Who doing the environmental theme. The series is no stranger to the Green Party agenda, of course. In the 1970s, especially, several stories had touched upon the spectre of pollution and had suggested that the greatest threat to the future of the planet might not be invaders from space but mankind itself. This was most famously realised in ‘The Green Death’ in which ecological activist Professor Jones invented Quorn and won the heart of Jo Grant (who told the Doctor that “he reminds me of a younger you”). And the mad scientists in ‘Invasion of the Dinosaurs’, intent on folding back time to a pre-industrial Golden Age, were presented as misguided rather than evil. As the Doctor told the Brigadier: “Of course he was made. But at least he realised the dangers that this planet of yours is in … The danger of it becoming one vast garbage dump inhabited only by rats. 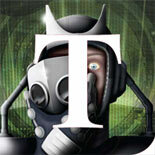 It’s not the oil and the filth and the real cause of the pollution, Brigadier. It’s simply greed.” This episode was not quite so polemical but there were still plenty of pointed asides to the effect that trees have been protecting the Earth for millennia while humans cut them down. This sort of soap-boxing prompts me to reflect on the place of politics in Doctor Who. I know there are some who believe that overt politics has no place in popular fiction – and especially not in a television drama produced by a publically-funded broadcaster. For example, the BBC drew criticism from some quarters a few years ago for its remake of The Day of the Triffids (2009) which dispensed with most of John Wyndham’s plot to reinvent the intelligent carnivorous plants as the products of an ecological experiment that went badly wrong. The counter argument, to which I subscribe, is that a public broadcaster should reflect current social and political issues. That principle has been the hallmark of some of our finest television drama ever since The Wednesday Play. It seems to me that there is no reason why popular drama should not inhabit the public sphere: that entertainment produced ‘for the people’ should not engage with issues which affect its audiences. And to be fair to Doctor Who the politics, while often quite overt, are nevertheless always secondary to the principal business of telling a good story. ‘In the Forest of the Night’ is the sort of episode that, like last year’s marvellous ‘The Rings of Akhaten’, is bound by the extent of its difference to be something of a one-off. To have more than one or two episodes of this type per season would not work. But it demonstrates, once again, that, at its best, Doctor Who is still able to combine a thought-provoking concept with some genuine thrills and nicely-observed character moments. This entry was posted on November 5, 2014 by Who Watching in Episode Reviews and tagged Doctor Who, Frank Cottrell-Boyce, In the Forest of the Night, Peter Capaldi, Sheree Folkson.